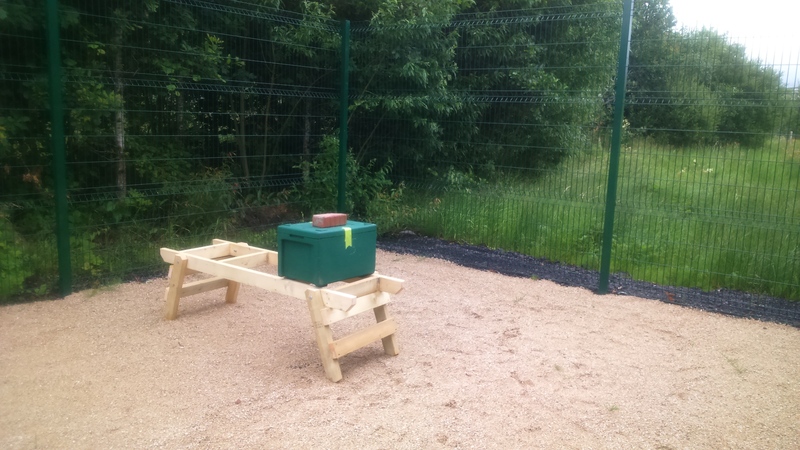 The Green Campus committee is pleased to announce that UL’s apiary is now up and running. A feature length article will follow but for the moment, here are just some of the photo’s of it being setup. 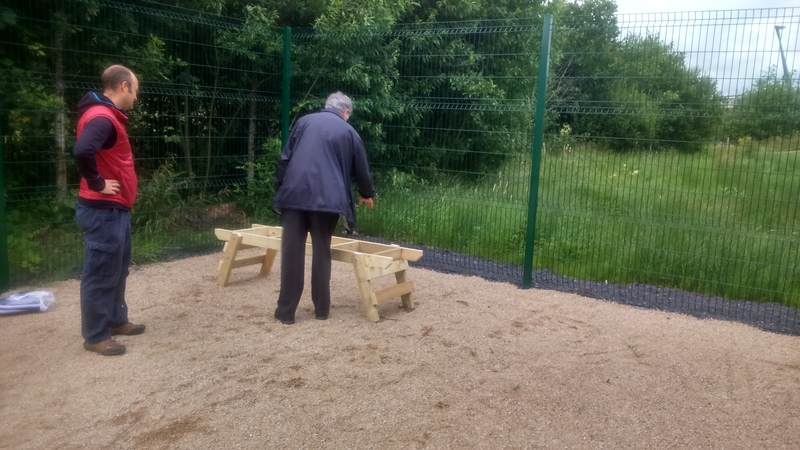 Dr Adam DeEyto (UL) and Beekeeper Donal McHugh (Banner Beekeepers) decide where to place the hive stand. The hive stand is in place. 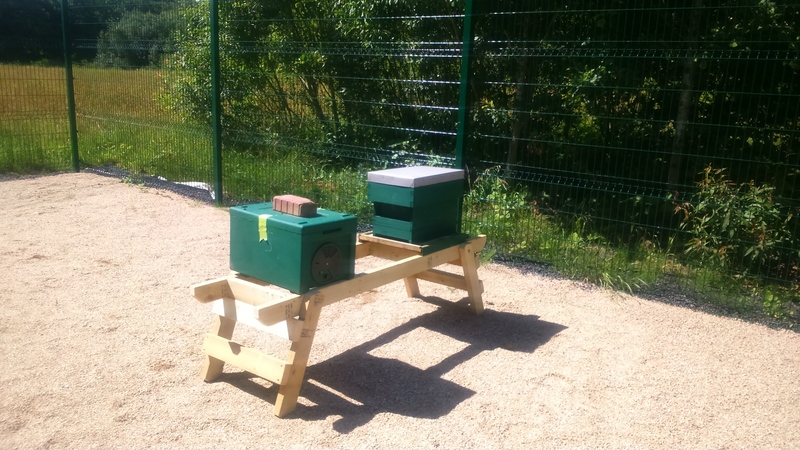 5th August – The first Nuc (starter colony) is in delivered. 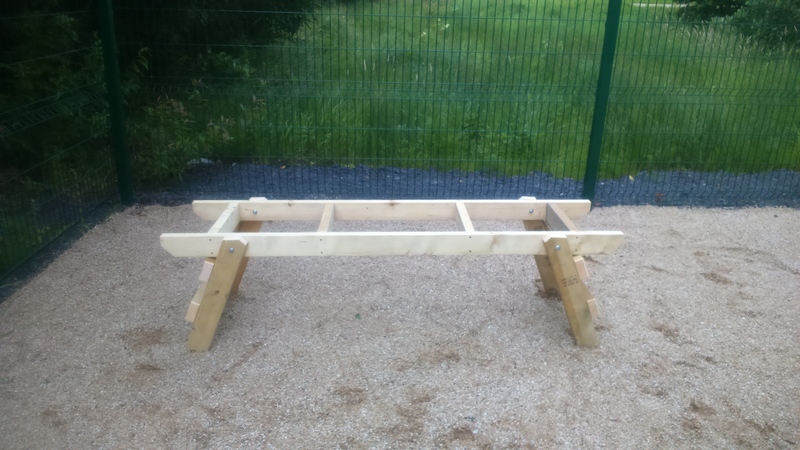 7th August – the second Nuc arrives. 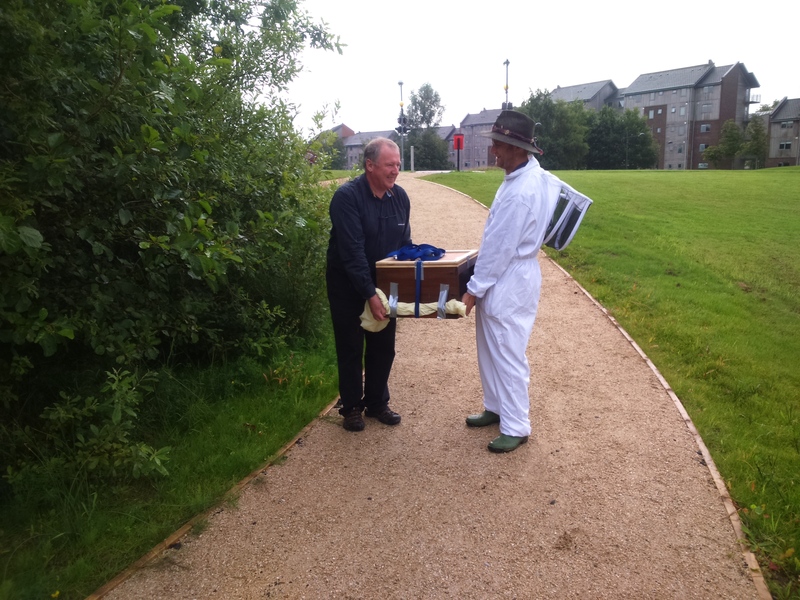 17th August – Dr Adam DeEyto and Prof John Breen deliver a sealed beehive. 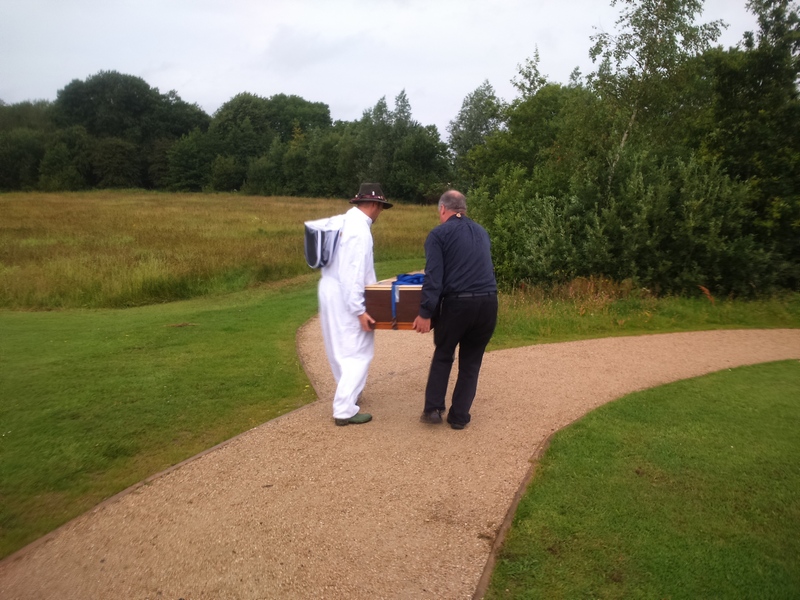 17th August – Dr Adam DeEyto inspects the latest addition to the apiary. 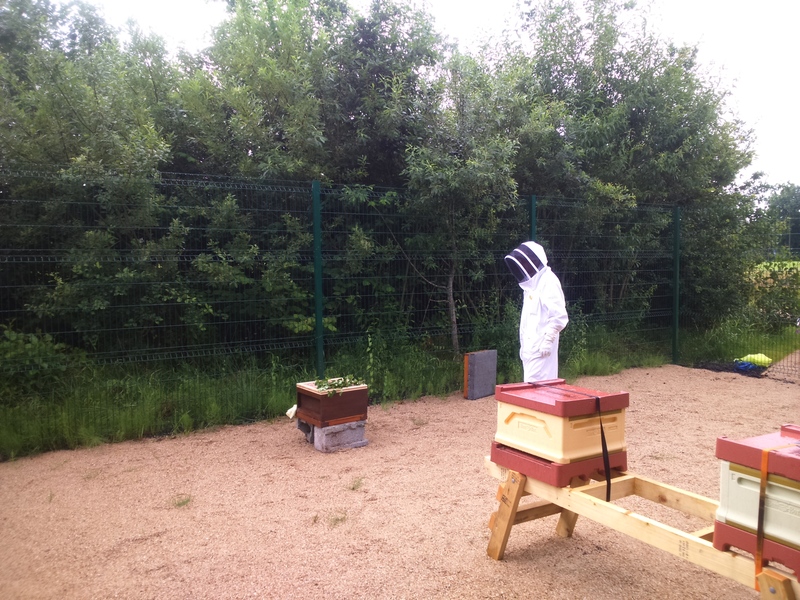 17th August – The bees emerge from the hive to take in their new surroundings. This entry was posted in Uncategorized and tagged Biodiversity, Curriculum. Bookmark the permalink. Congratulations UL. 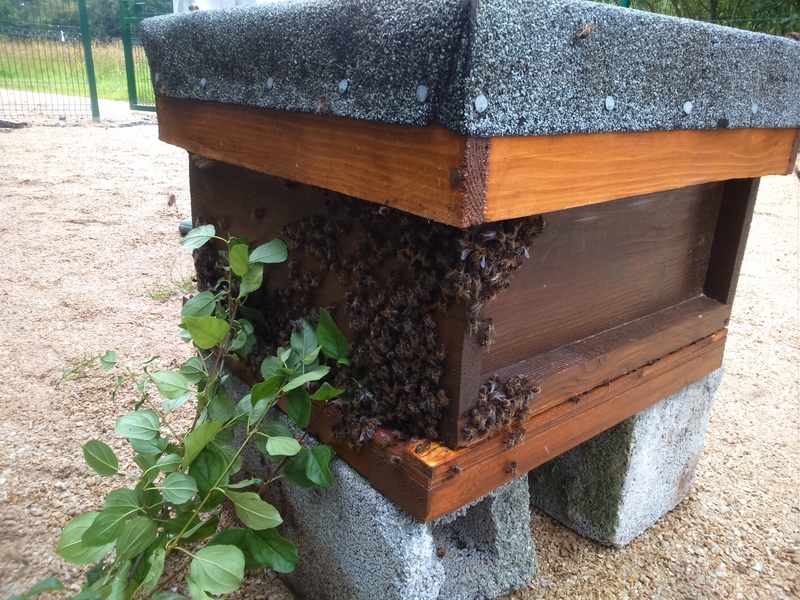 If you are also interested the Limerick Urban Bee Keeper Society have some hives in place around Limerick City in such places as The Hunt Museum, LSAD, The Limerick Learning Hub and The Munchin’s Church. Welcome to the world of bee keeping and I hope all goes well with your apiary.